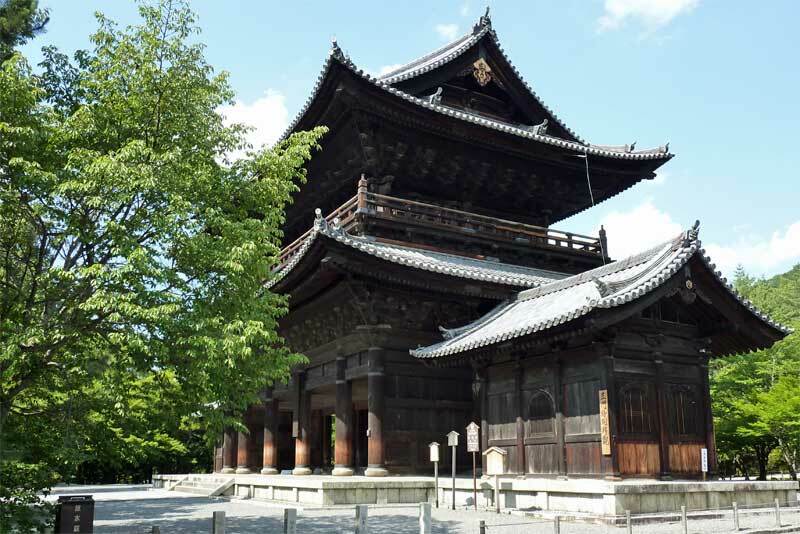 22 meters high San-mon gate that was rebuilt in 1628 by Todo Takatora, a feudal lord. He dedicated the gate for the repose of those killed in the battle of Osaka castle in 1615. Buddhist figures are on the second floor.